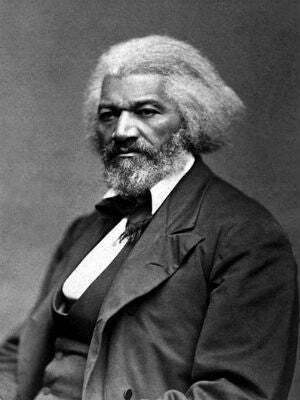 A Howard County, Md., high school English teacher was briefly placed on administrative leave last week after instructing students to write a "fun" slave song during a lesson on the famed abolitionist Frederick Douglass, the Baltimore Sun reports. According to the report, Howard County Superintendent Renee Foose put the Mount Hebron High School teacher on leave for four days after learning about the incident, calling the teacher "inexperienced" and the assignment "outrageous." "It was offensive and out of scope with what we should be teaching," Foose told the Baltimore Sun. The teacher involved in the incident was not identified and returned to the classroom on Tuesday after the district finished its investigation. The Sun notes that on Dec. 7, Mount Hebron High Principal Andrew Cockley wrote an email to parents explaining that the assignment was part of a lesson on The Narrative of the Life of Frederick Douglass and that the students were asked to make up a slave song "as a means to learn how language can be used effectively to convey feelings and important messages." Cockley acknowledged, however, "The activity was culturally insensitive and caused discomfort for many students. The teacher has apologized to all students given the assignment and their parents. The assignment has been removed." Still, black leaders in the county have expressed concern about the teacher's written instructions that encouraged students to "have fun" and "entertain us all." The president of the African American Community Roundtable, Larry Walker, said that he thinks the incident "reflects a culture of insensitivity that is prevalent in our country, not just Howard County." "That's a huge frustration for those of us who are trying to console the students who are victims of these social media posts because leadership didn't do the right thing and address this systemically," Walker added. "It takes the leadership standing up to the community, saying this is not tolerable." As the Sun notes, this incident is just the latest in a series of controversial racial issues surrounding the Howard County school system. Back in November, an Atholon High School student posted a picture of herself in blackface with the caption, "I'm finally a [n—ger]." In another November incident, a white River Hill High School student posted a photo of herself holding what looked like a handgun with the caption, "I'm boutta shoot some [n—gers]." And just last week, on the heels of another racially charged social media post, some 400 students walked out of Oakland Mills High School, demanding change in district policy that would make it mandatory for administrators to inform students and staff of any "direct or implied threat" made by other students, the Sun reports.